Neutral colors, curvy and straight lines, various textures and multiple patterns. 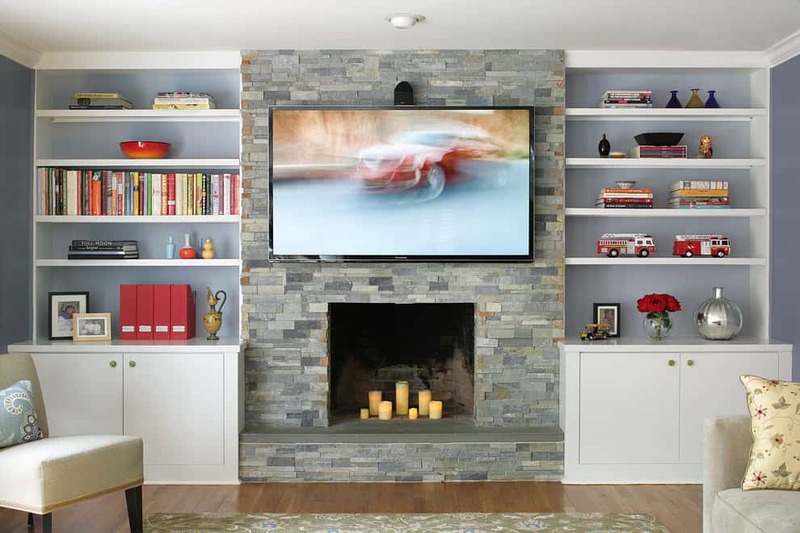 How does that sound for your family room design? 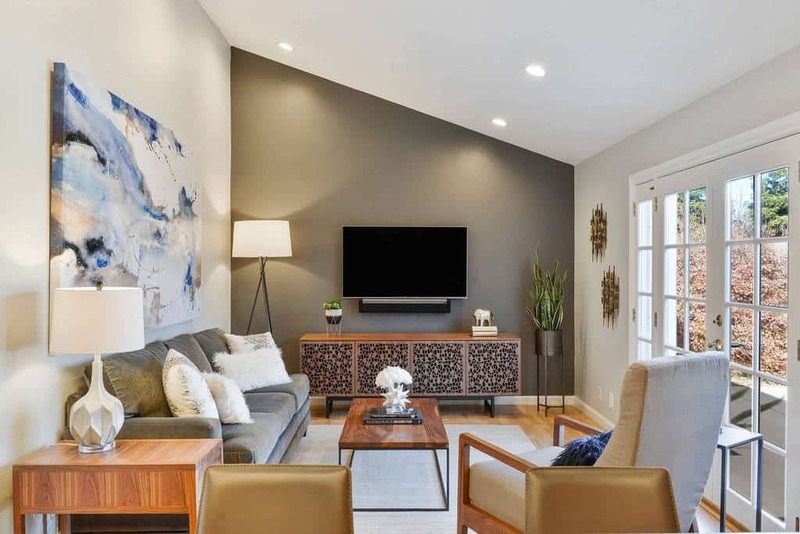 A transitional style for your family room can really be a great thing, especially if you have been confused about exactly what you want the room to look like. 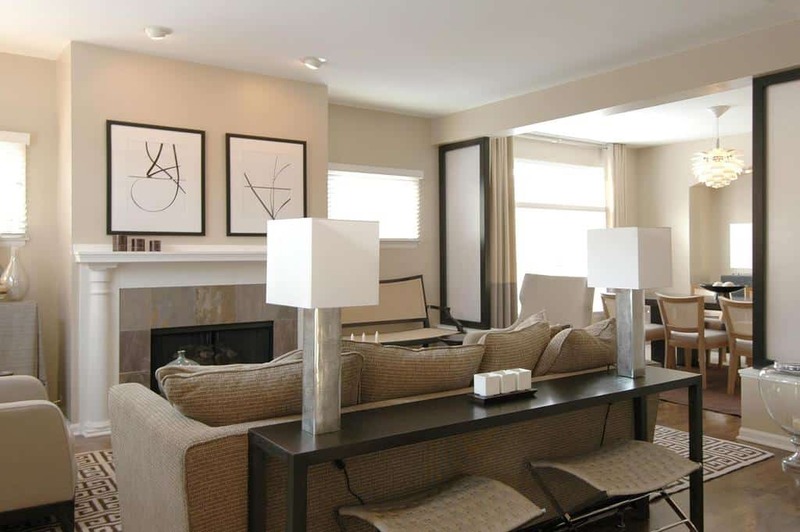 A transitional style brings a balance of many different design ideas and combines them to make one wonderful space. 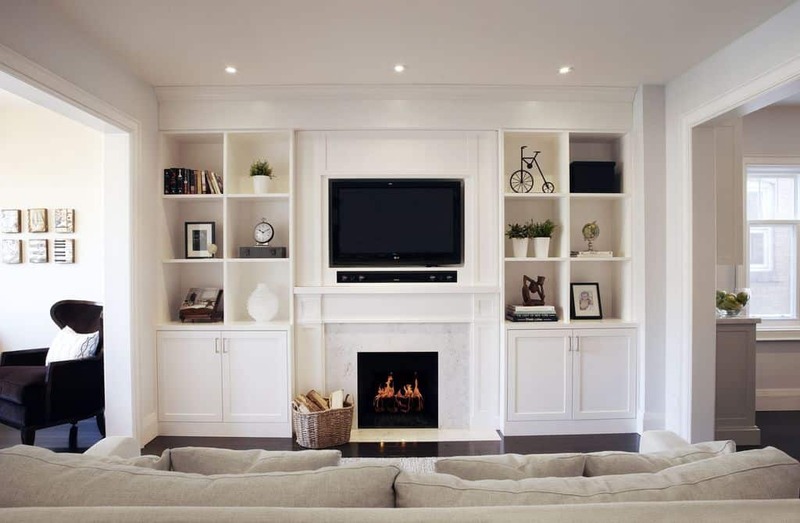 You want your family room to be a space that is welcoming and relaxing. Below, we have gathered 46 different transitional styles for you to look through, and we know you will see something you like. 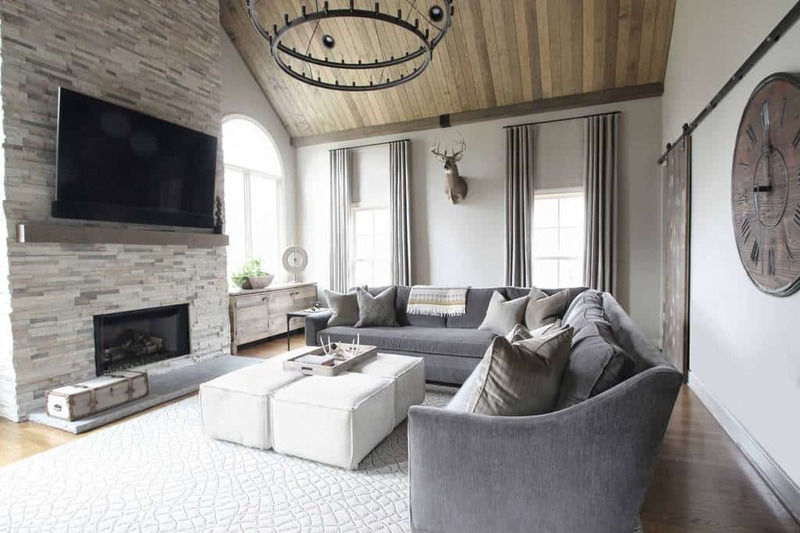 The use of natural materials makes this a perfect transitional family room, and with teh fixture and decor around, you can sense a rustic style. The wood trimmed windows and the hardwood floor make great contrasts to the light styles around the room. The decor is contemporary and stylish, fitting wonderfully with the space. By making these cabinets a display type, with glass so you can see inside, this space is both functional and for show. The darker color used blends well with the light hardwood floor. Photo by Lori Dennis, Inc.
One side of this rom is all windows and sliding doors that connect you with the outside and let in great natural light. This room uses hardwood combined with light furniture for a wonderful look. Putting these cabinets and shelves all around this window really makes this room stand out. 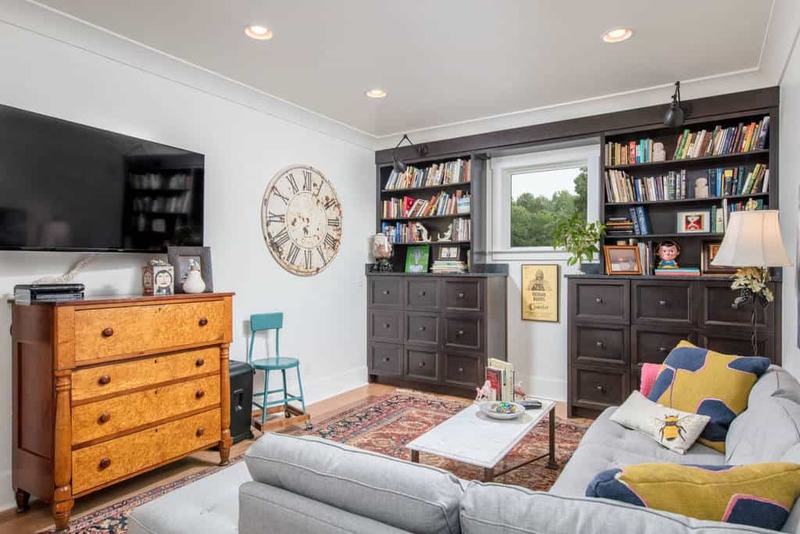 With a blend of colors and decor styles, this room has great character and a fun sense of style. 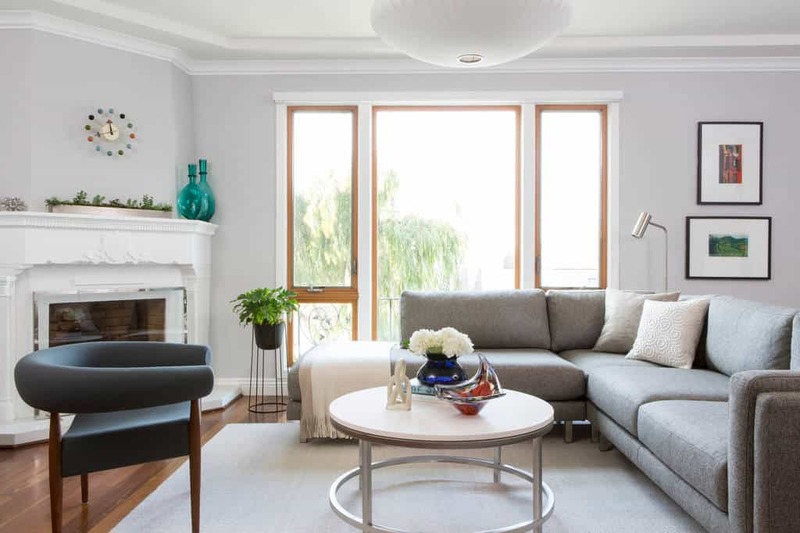 The windows let the natural light shine into this beautiful space, one that makes use of a gray color scheme and some beautifully matching patterns. Kick back and catch up on some television shows. 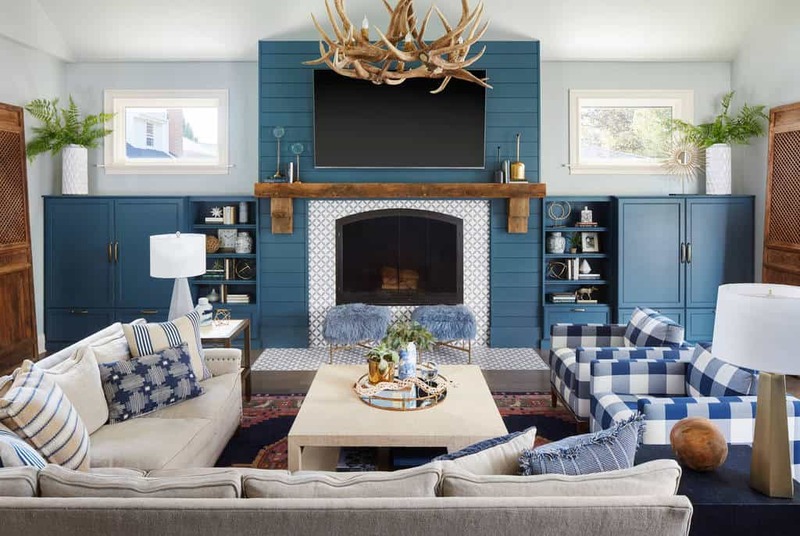 This comfortable family room takes on a country style, with a perfect complementing blue color scheme. 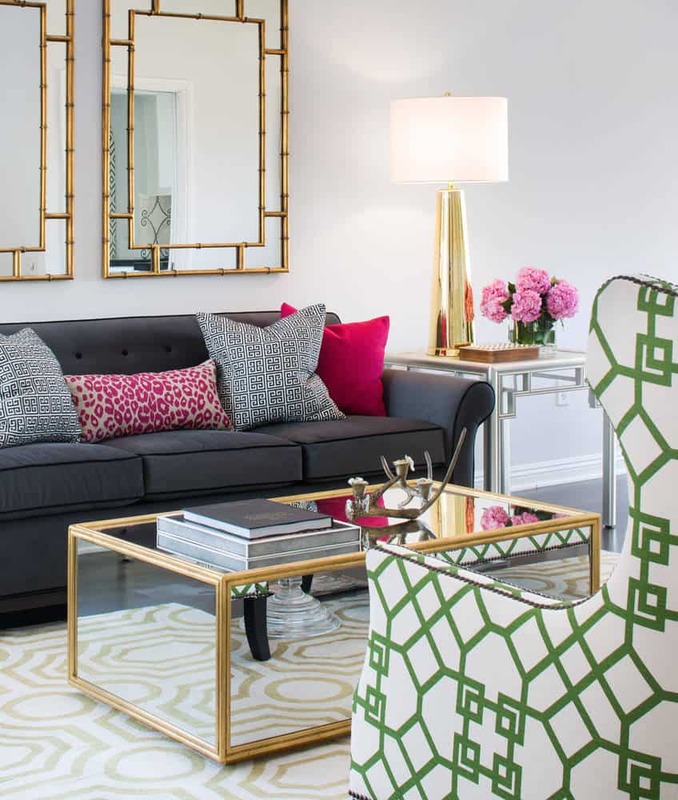 With just the right amount of patterns and decor, this is a welcoming space. With an open and light sense, this room uses modern furniture and relies on natural light to make it beautiful. The decor is great and not overwhelming, letting you relax in peace. Photo by Anik Pearson Architect, P.C. 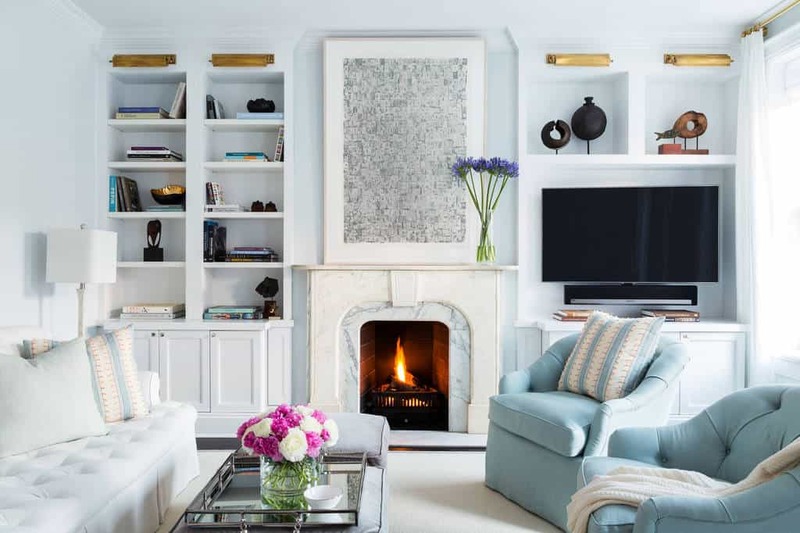 With some great floral patterns to complement the lovely baby blues, this family room has a lively ambiance that you will love. Never let anyone tell you that you can’t use colors in a family room. 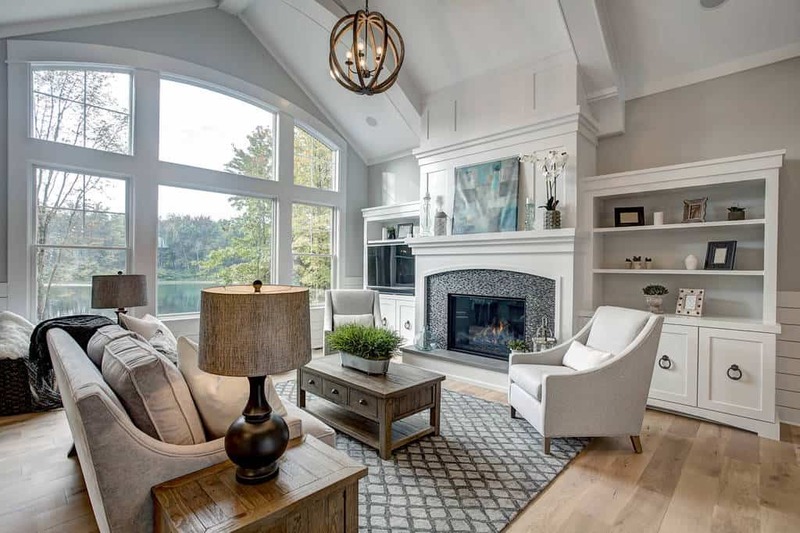 The use of natural materials, from the stone around the fireplace to the hardwood floor, is a great mix to complement this family room. The contemporary art and decor brings great color to the space. This room has a simple purpose. To give you a place to sit and relax with a book. 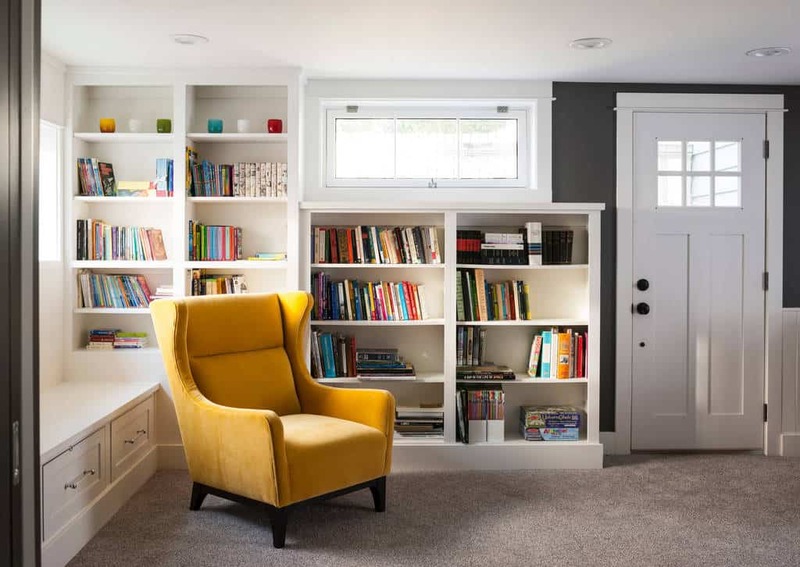 Kick back in the natural light and enjoy whatever book you pull off the shelf. With a light hardwood floor that is matched by the walls, you can open up this room for some fresh air. Take in a game of pool and enjoy your day. The open floor plan lets you move around this space without having to worry about bumping into anything. 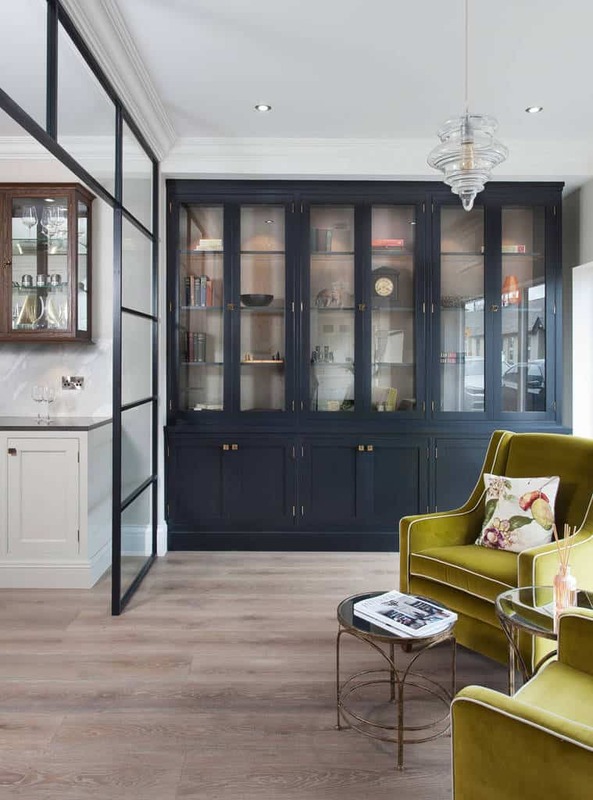 With light furniture and decor all shown off by natural light, this is a truly elegant space. 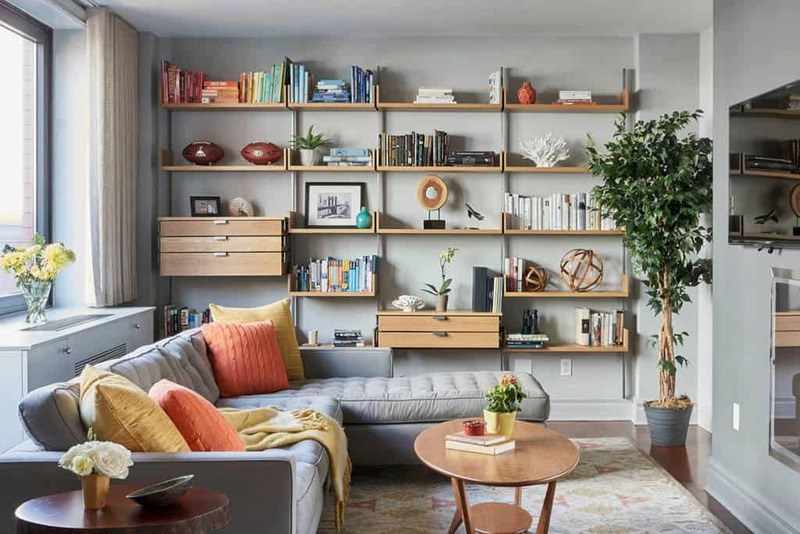 These hardwood, earth-toned shelves are functional and beautiful. With built-in lighting to show off your books and decor, this can be a centerpiece of your family room. 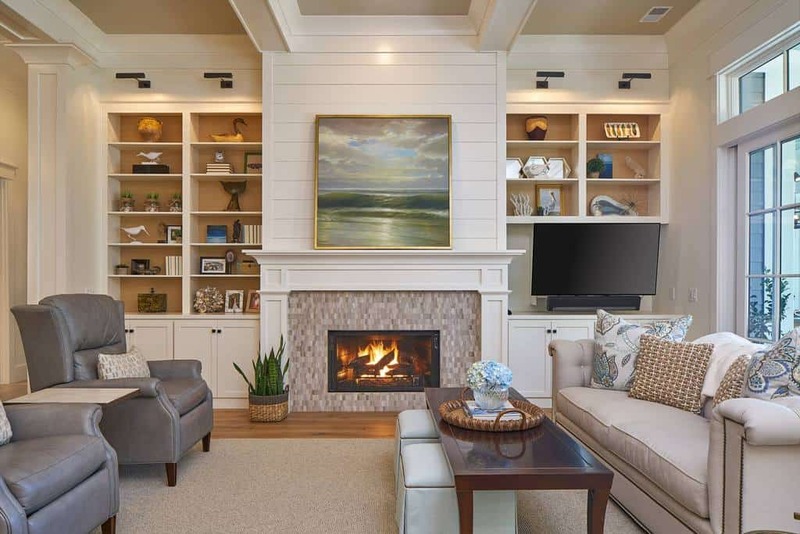 With comfortable decor and artwork bringing a country style to this family room, you can enjoy the warmth of the fire while you take in the great design of this elegant space. The furniture is a retro style made modern, accented by the beautiful artwork and decor. The hardwood floor is matched by the furniture and the neutral colors around the room are a great choice. 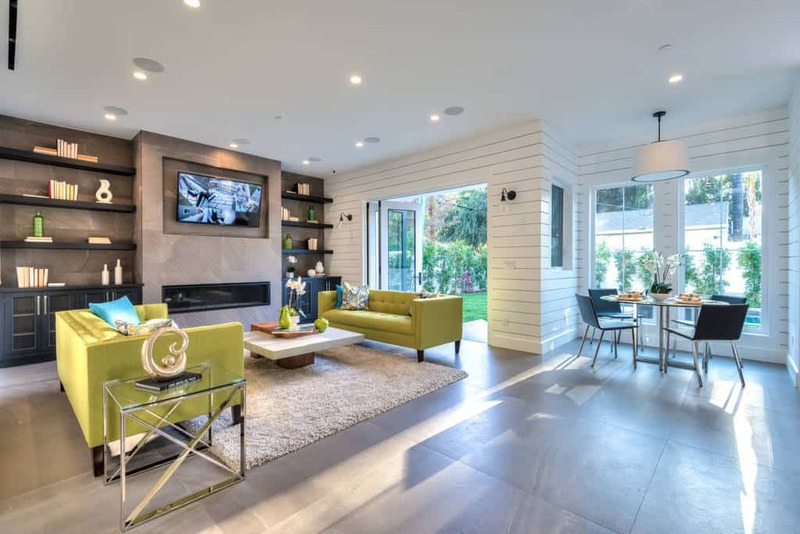 Photo by Weber Design Group, Inc.
Look at how well this space is designed to create contrasts. 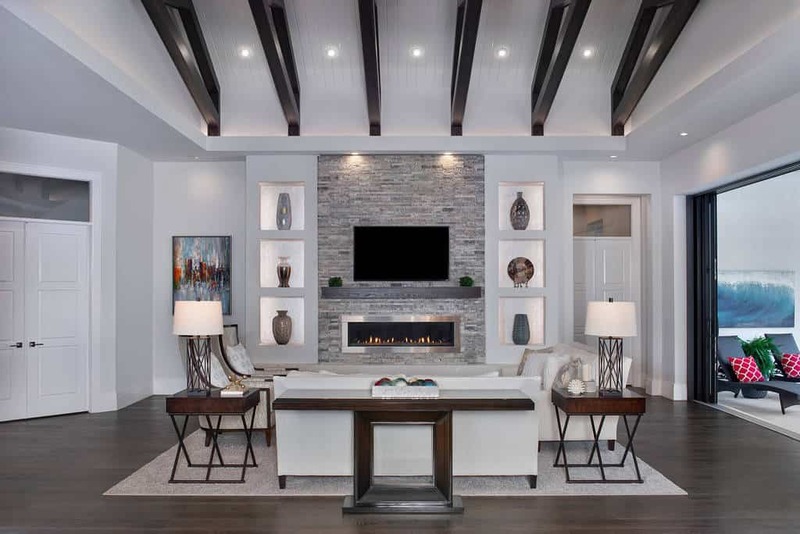 From the darker floor and ceiling beams, to the lighter walls and stone fireplace, this room is great. Opened up to the outside, you can relax here. 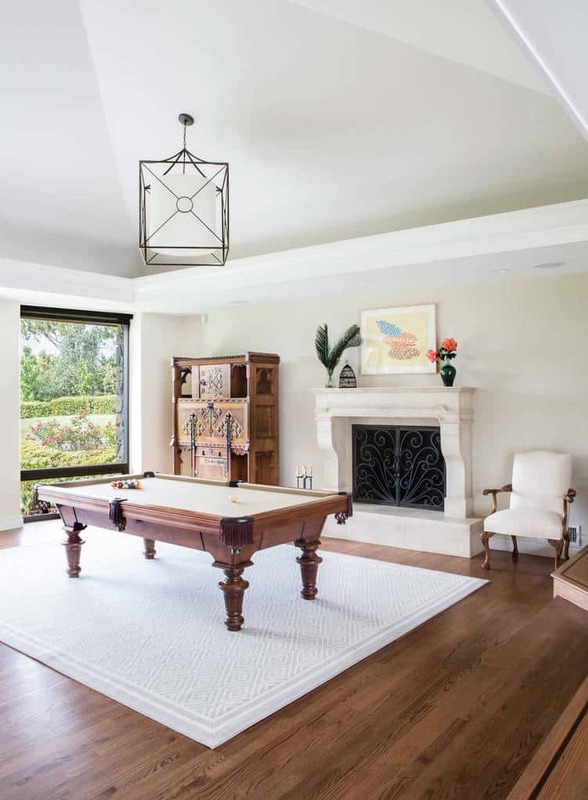 The hardwood pool table and light fixture are the center of this room, surrounded by a great light and dark color scheme. The shelving shows off wonderful decor and the fire will keep you warm. Like a snapshot of a European villa, this room uses great designs with its furniture and fireplace area. Light walls contrast the hardwood floor well, giving you a great place to play a game of pool. 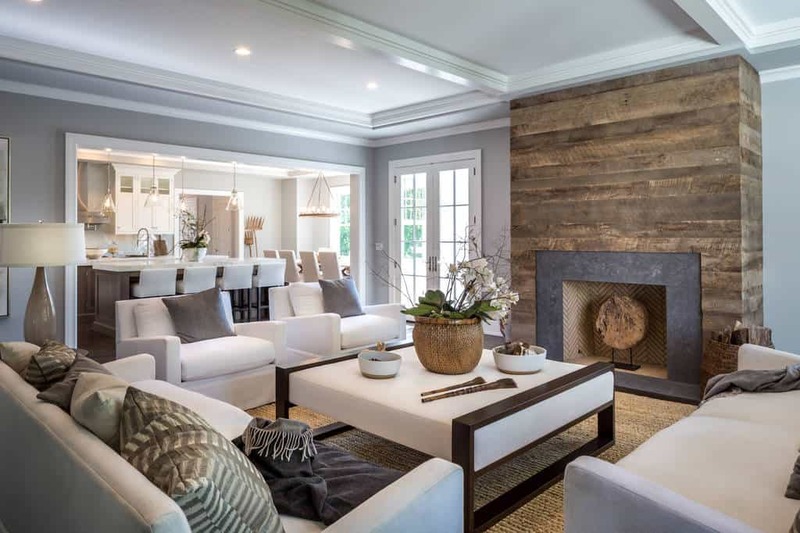 The weathered hardwood style used around the fireplace brings this room a durable sense of style. With the calm and relaxing furniture, you can relax here after a meal in the nearby dining area. 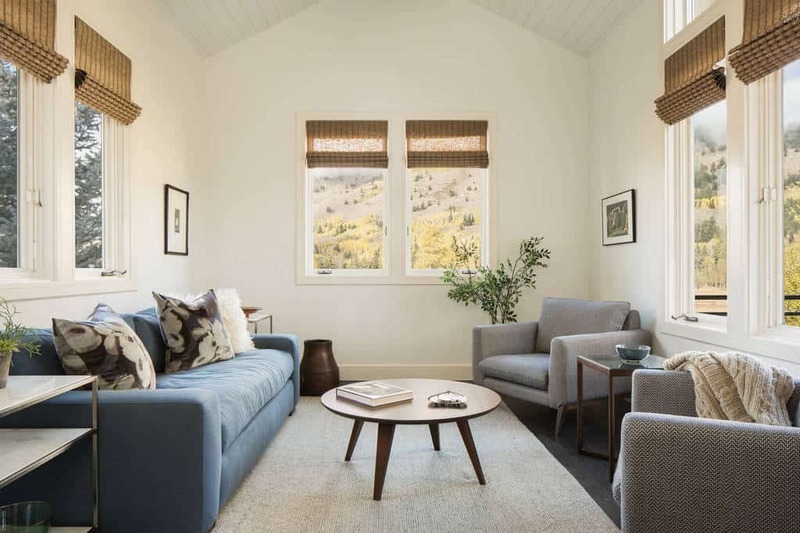 Open and connected to the other area of the house and to the outdoors, you can sense the style of this room. The entertainment area is modern and you have great color with the furniture all around. 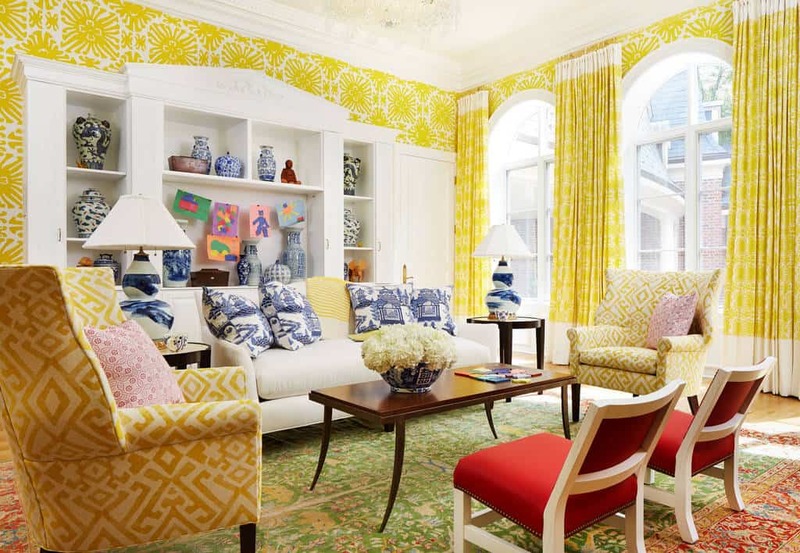 With a magnificent use of color and patterns, this room sparks to life. 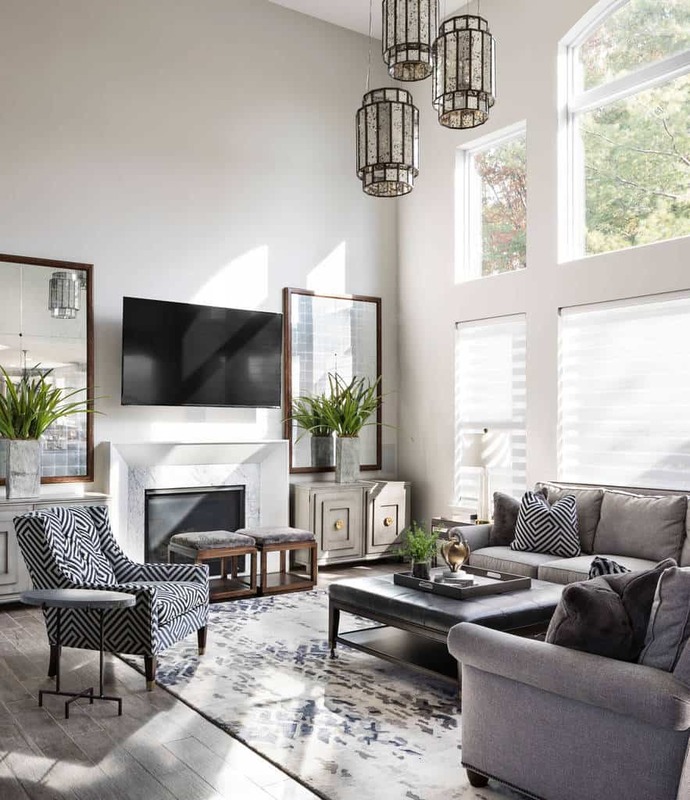 The patterns and beautiful decor make this room a space you will love to come to, especially with the natural light that pours in. This room makes a great use of earth tones to complement the hardwood floor. The decor brings a modern country sense of style, and you have a great place to relax in the window areas. Using natural materials doesn’t always have to take the same look. 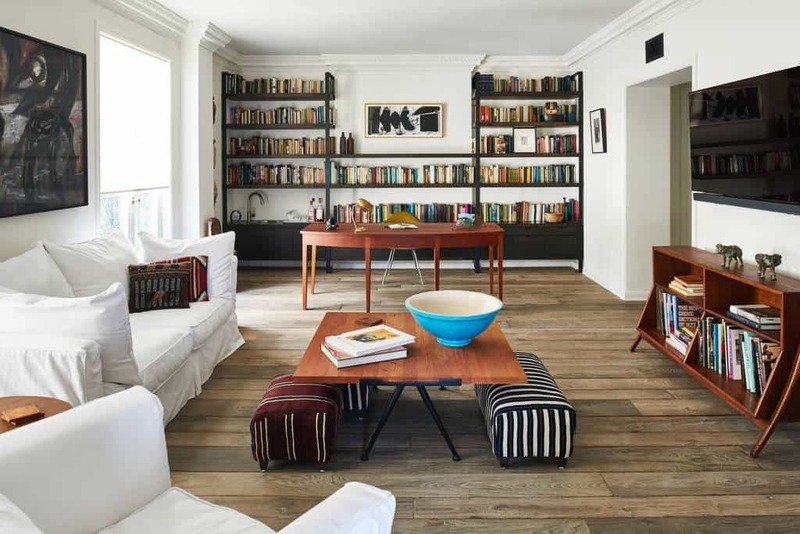 See how well the stone and hardwood here combine to create a contemporary space? Add in some great decor and you have a family room. Using earth tones, especially with making a light and dark contrast, can turn out beautifully bold. This space is easily connected to the outside so you can extend the get together any time. The light shines down from the skylight and in the windows to reveal a modern space that makes use of great furniture. From the unique center table to the earth style decor, this space is ready for you. Combine your family room with an area for gaming and you will always have ways to entertain family and friends. 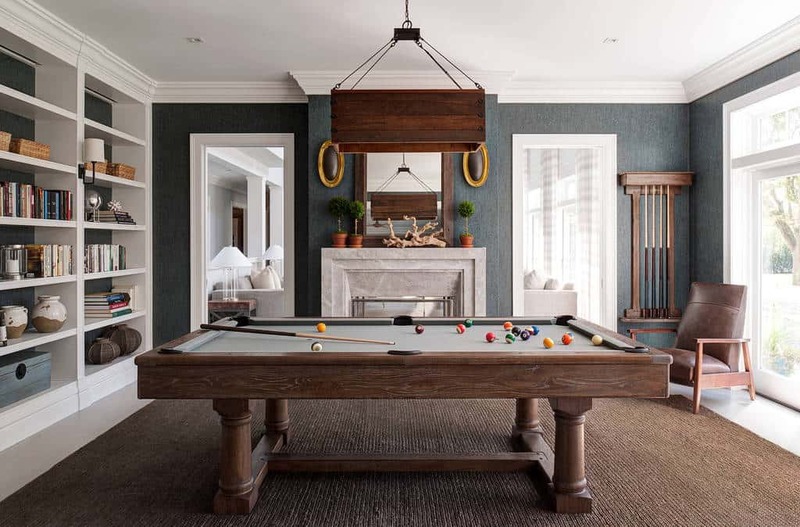 Catch a game of pool in the natural light or sit back and watch your favorite television shows. A great transitional room will use natural materials and make them blend with all parts of the room. 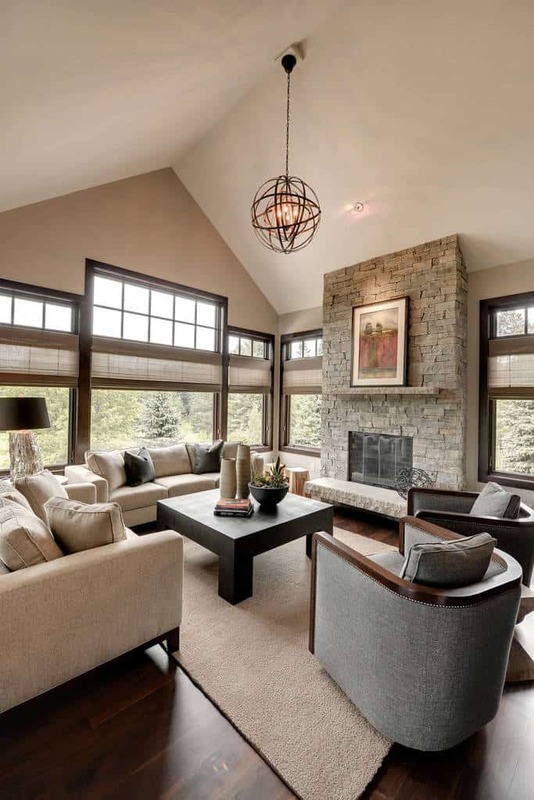 The earth tones here look so great in the natural light, giving you a great space to relax. A family room can be a simple space, an area for you to relax after a long day or a meal. 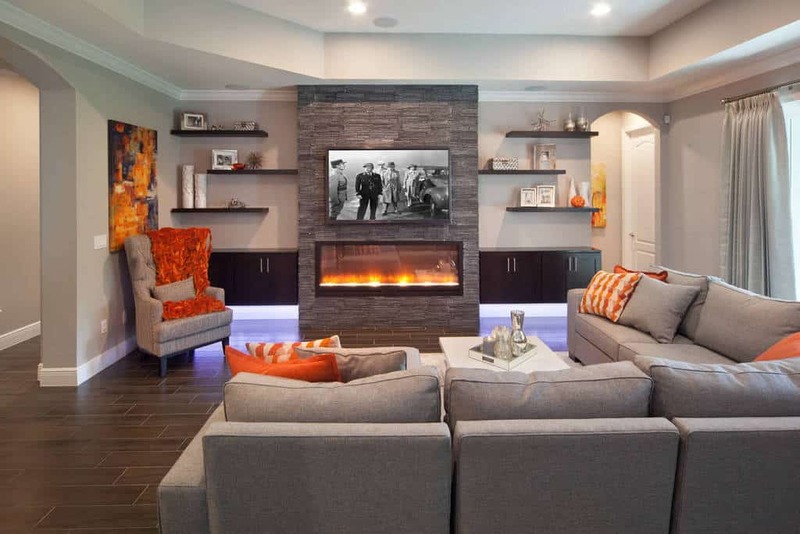 This space uses great decor around the television and will keep your warm by the fire. 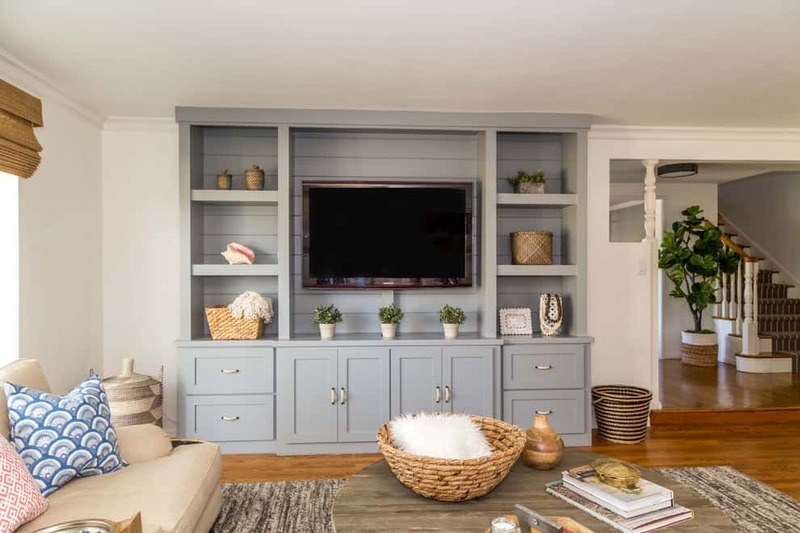 Photo by Woodwork Solutions Inc.
With great use of color with the blue entertainment area, you will love the country style brought by this room. The hardwood combines well with the decor to give you a wonderful and welcoming space. The natural light is allowed to pour into this room to show off the modern elegance of the furniture. The color scheme of the room works well with the decor. From the rustic light fixture to the decor, you have a classic style turned modern. The artwork is perfect and the unique furniture looks fantastic in this lively space. Starting with the wonderful hardwood floor, this room has great functionality. The beautiful book shelf hold an abundance of books for this office space and when you finish your work, come over and relax. 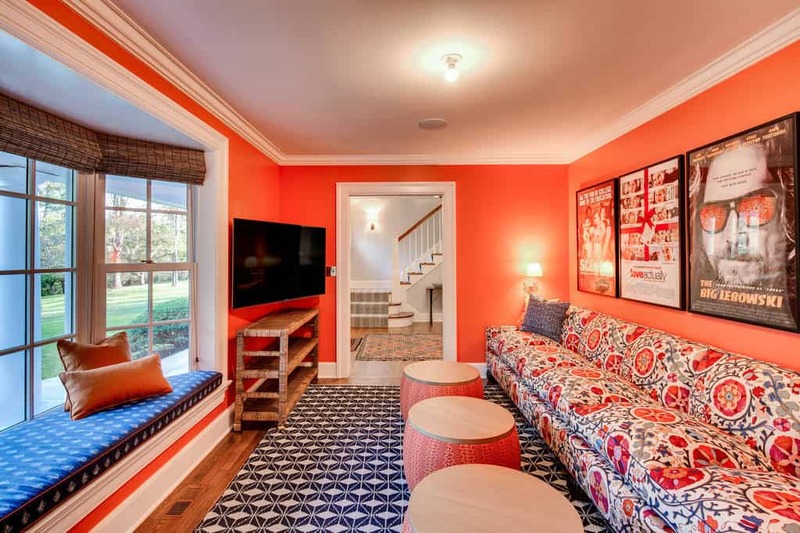 With great colors and patterns, you will love the style of this room. There is a fun elegance to it, not too light and not too heavy. With gold trim and comfortable furniture, enjoy a bit of luxury. No matter how you design your family room, make sure it matches your personality. Do you love music? Look at how you can make a space match you and your loves. This room takes on a light style that will remind you of a beach house with elegance. Opened to the outside patio and the pool, this space has brilliant decor that you will find perfect. 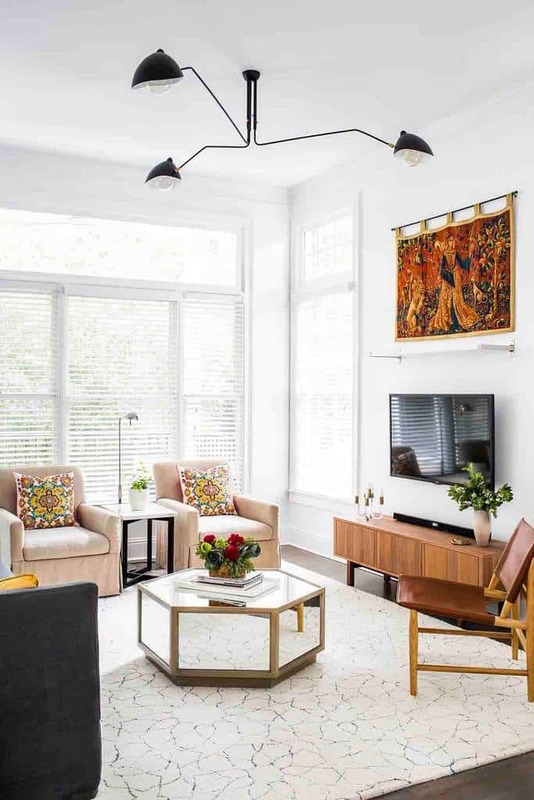 With a slight nod to an Asian sense of style, this room has minimal decor that accents the wonderful design of the room. This space transitions right into the dining area for easy access. Take a look at the beautiful hardwood around this space. It is bold and handsome, giving you a dark elegance. 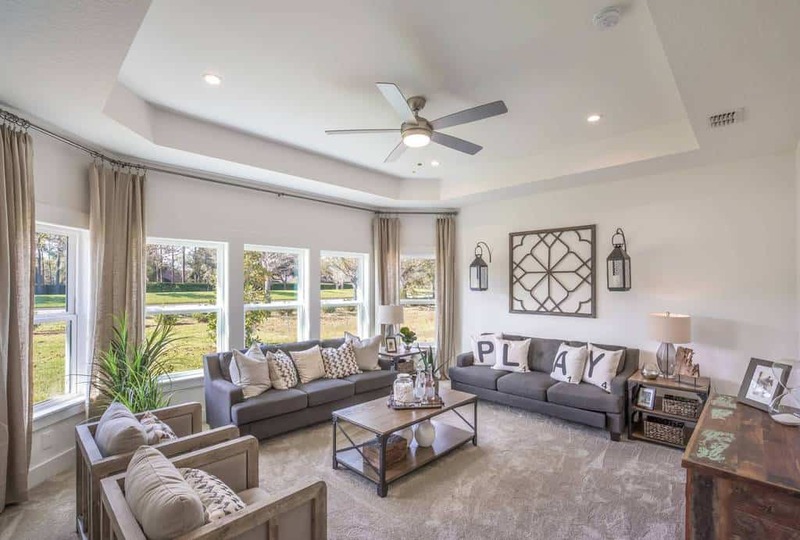 Open up to the outside and you have plenty of room to entertain family and friends. 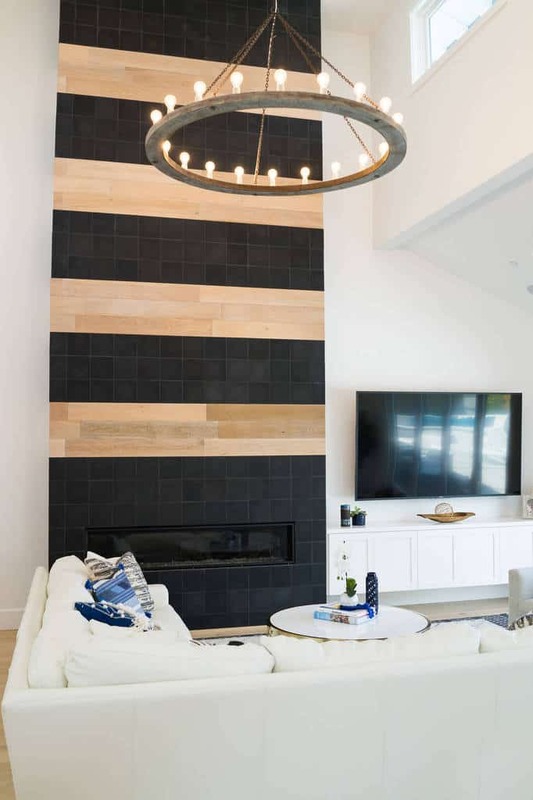 The wallpaper has stripes that go different directions, bringing life to this family room. The decor and furniture is beautiful and slightly retro, perfect for this room. 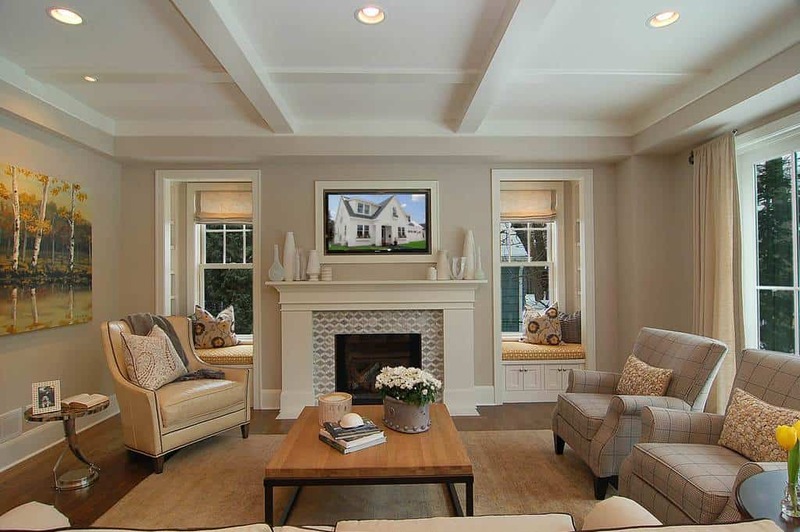 This family room goes for a classic and traditional style, but has a modern sense to it. 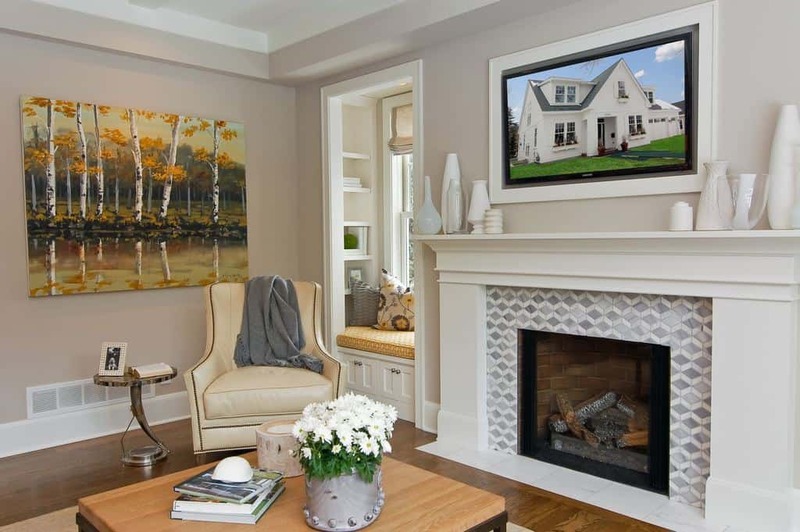 The tile design around the fireplace blends perfectly with the light styles around the room. 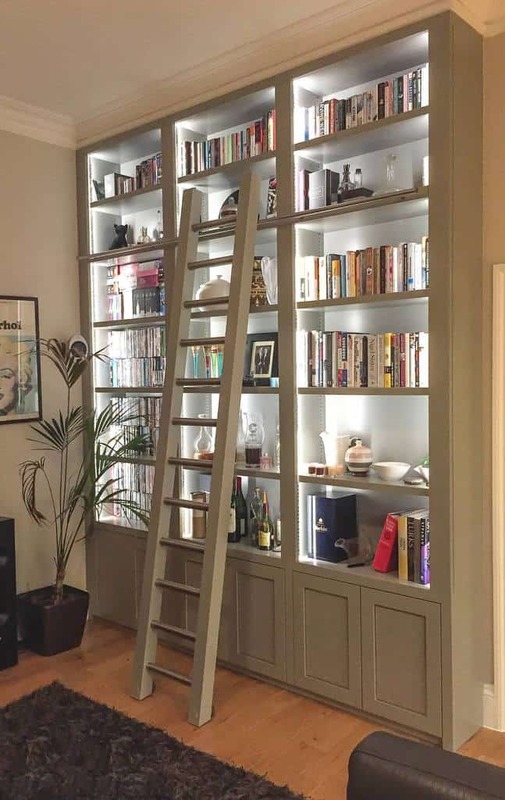 The unique designs of the shelving in this room really do look great. 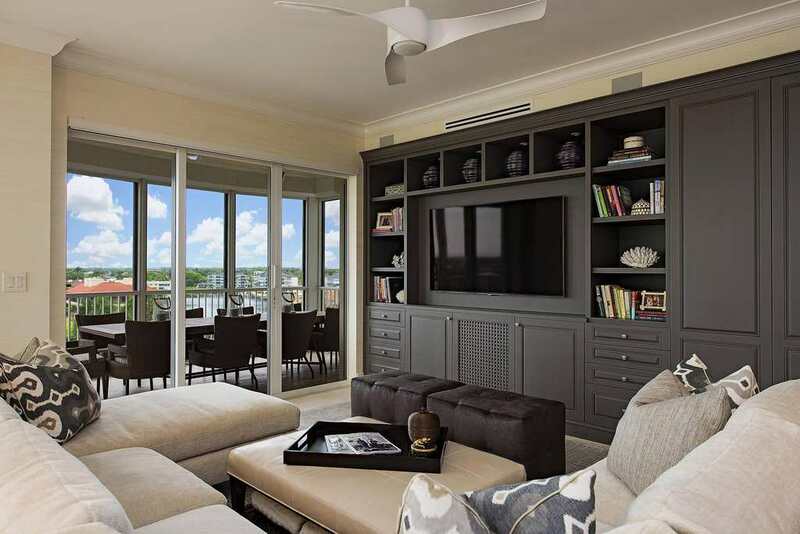 You have comfortable furniture to complement the hardwood, slightly island style of this room. Photo by Chango & Co. This room has a cool sense of style, one that is complemented byt he great decor and floral arrangements. The light furniture is comfortable and glows in the natural light coming in. 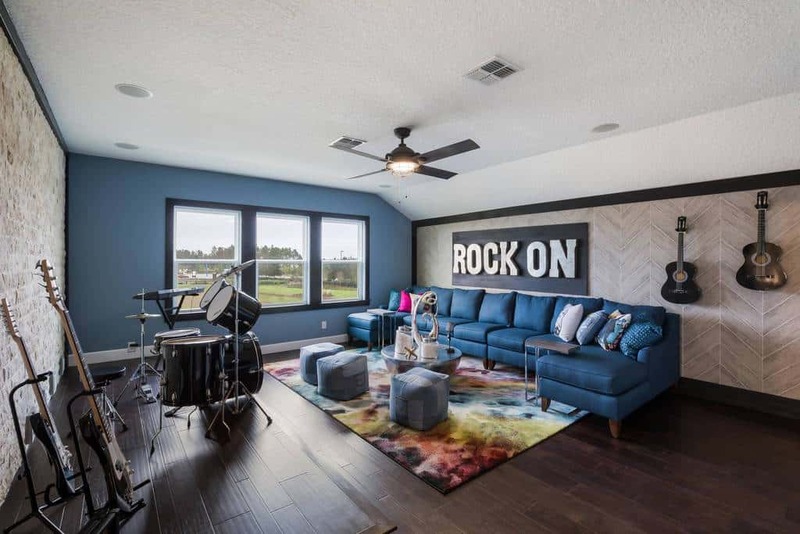 This room is made for your entertainment and has a wonderful color scheme. It is cultural and modern, featuring wonderful patterns that accent the space. The movie posters shine in the natural light. 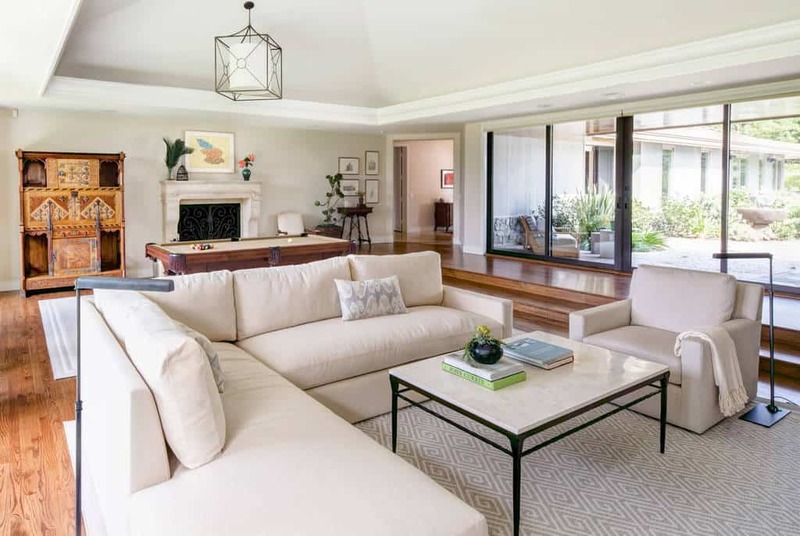 Spacious and open, this family room has beautiful but minimal decor. It is a cultural sense of style, featuring beautiful patterns that work well in all the light that comes in. 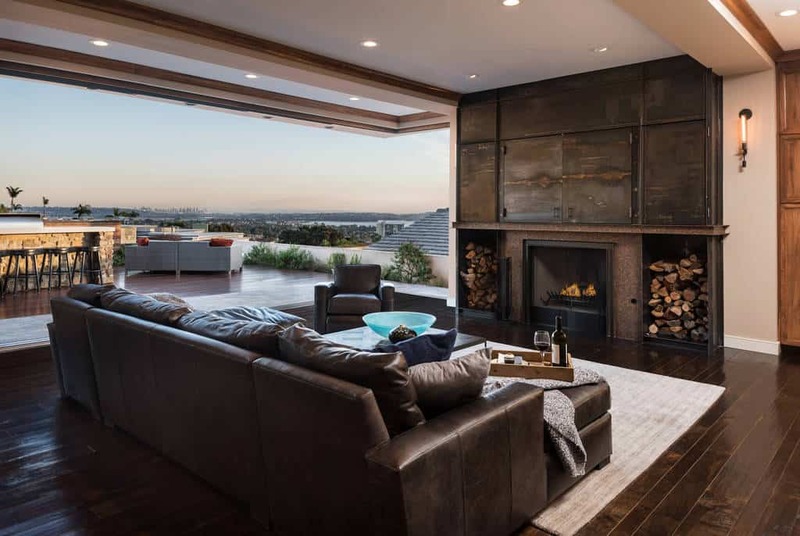 The design around this fireplace takes on an Asian minimalist style and is complemented by the great furniture in this room. Light and comfortable, you can relax in warmth and watch your television shows. Make your room something that matches who you are. 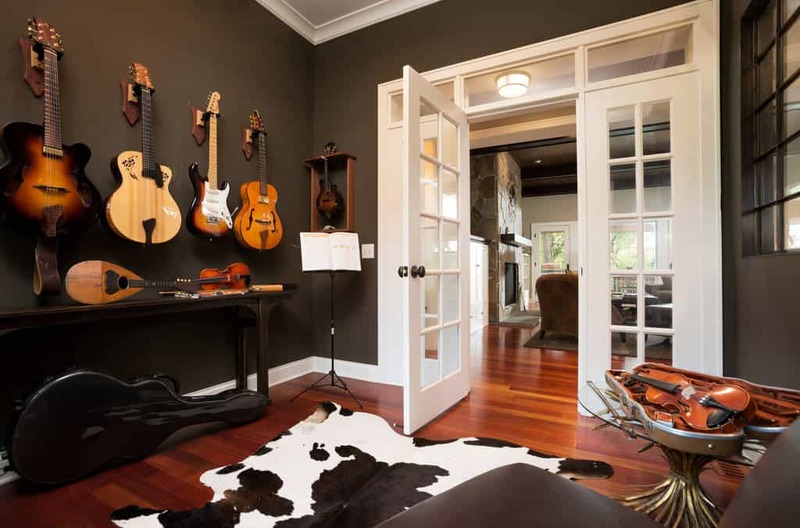 With darker earth tones to match this great hardwood floor, you can see how well this musically styled room works.